Urban Books' popular Girls from da Hood series is back, bringing listeners more dramatic tales about the lives of some tough, resourceful women who can hold their own when things get rough on the streets. 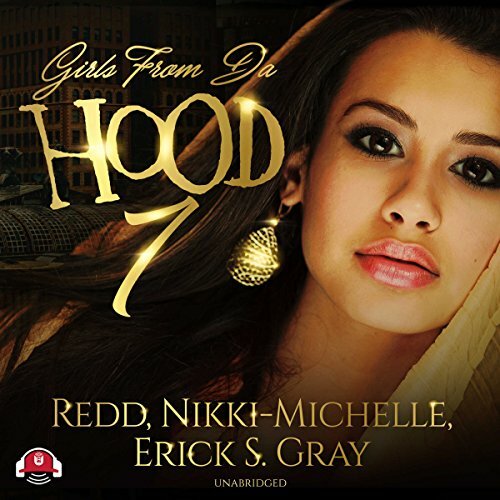 This time, Redd, Nikki-Michelle, and Erick S. Gray deliver the stories with their trademark flair. Like a hood-rich Bonnie and Clyde, Candy and Raynail have their hands on all of the drugs that run through the veins of Westwood. When Raynail is set up to take the fall for a crime he didn't commit, Candy goes on a mission to take down everyone involved. Baby and G. G. should be thinking about high school, but their minds are definitely not on studying. These two are tight like sisters, and they have each other's backs no matter what - until Baby comes up with a plan that involves blackmailing someone to kill G. G.'s man. When these two cousins clash, the shock wave will be felt throughout the hood. Vix Dixon is an upscale ghetto-girl that no man in his right mind wants to cross. She's a predator who preys on the weak. Her mission? To have any man or woman she wants by any means necessary. Now, she's set her sights on her teacher, Alex Rodriguez, and he bites the apple instead of a bullet. By the time Alex realizes just what he's gotten himself into, hell on earth will have a different meaning for him. I didn't even get through the 1st chapter. I was use to Mishi La Chapekke and iiKane. They are outstanding but this guy is horrible. I wasted a credit. I liked all the stories . I dislike when men read It’s way different from women.